Holliday, N.P., Cunningham, S., Griffiths, C., 2013. State of the eastern North Atlantic subpolar gyre: the Extended Ellett Line Programme, Annual Report No. 1. National Oceanography Centre Research and Consultancy Report No 36, 15pp. Johnson, C., 2012. 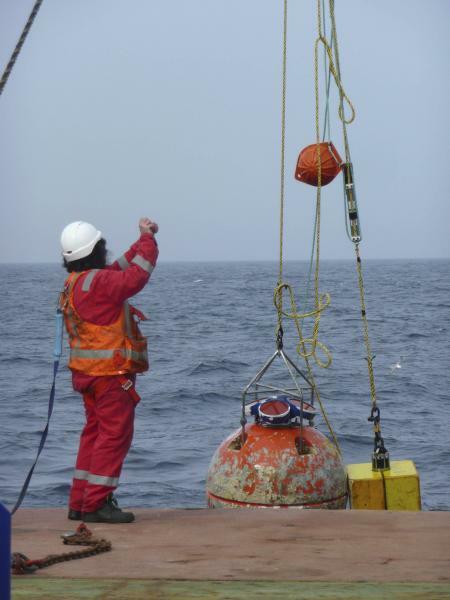 Tracing Wyville Thomson Ridge Overflow Water in the Rockall Trough, PhD Thesis, University of Aberdeen. Holliday, P., 2012, Riding the storm in the North Atlantic, SB3, in: Dwyer, N., The Status of Ireland's Climate, 2012, CCRP26, Environmental Protection Agency, Wexford, Ireland.